Zinfandel and Petite Sirah are two wine varieties typically associated with California. However, they are finding their way into Washington wine country as sites are identified that are suited for these temperamental varieties. Having grown up with them in California, winemaker Wade Wolfe has chosen to make these flagship varieties at Thurston Wolfe. After many years of exploring potential vineyard sites, he identified one near Paterson, Washington that met the necessary criteria for success: a long, warm growing season, steep slopes for air drainage and shallow, gravely soils to control vigor. 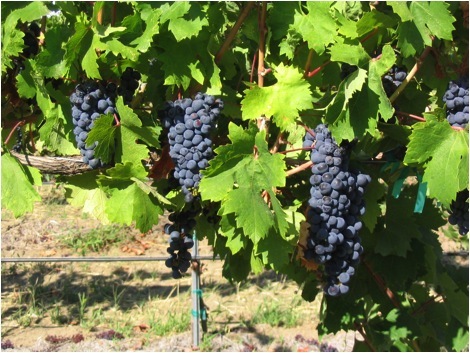 This site is now known as Zephyr Ridge Vineyard and is our sole source for these varieties. Vines were planted in 1998, along with the Italian clone of Zinfandel called Primitivo. Wines were first produced from them in 2000 and in 2011 accounted for 41% of our total harvest. The success of the vineyard has been proven by the many awards that Thurston Wolfe has received for these two varieties.